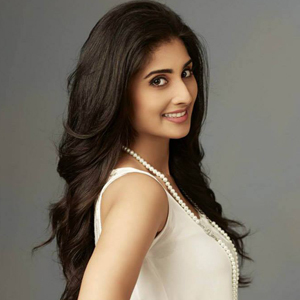 Actress Shamlee, most popular for her work in Mani Ratnam's award-winning Tamil drama "Anjali", says although she may have starred in over 50 films as a child actor, she was never fascinated by acting. "As a kid, I was mostly bored on the sets. I wanted to be playing with other kids, but I missed all of that. So I wasn't really fascinated by acting. I never aspired to be a star; maybe I wasn't mature enough," Shamlee, who is all set to face the arc lights after a hiatus, told. The actress, who is making her Tamil debut in a leading role soon, has signed two projects in the language. In 2009, she had made her acting debut as a heroine in Telugu romantic-drama "Oy", but then didn't continue acting. "I was offered 'Oy' when I was preparing for my Masters. I was free for about six months and decided to give acting a try. As I started shooting, I had applied for my Masters. I'd decided if I get admission, I'll take off and finish my course and return to acting whenever I feel like. I'm glad it all worked out well," said Shamlee, who left to Singapore soon after for her a course in film studies. She felt the need for a film course was to get equipped in various crafts of cinema and strengthen her foundation. It has also prepared her for an alternate career in film-making. "Initially, I was equally excited about being on the other side of the camera, but then I don't know how far that's going to work out. Maybe later in life I'd love to direct. I'm also interested in the field of art; I'm very inclined towards painting and dance. I regularly keep in touch with that side as well but I'd like to give it more time," she said. For now, her focus is on acting. Shamlee has a Tamil film each with Vikram Prabhu and Dhanush. "The film with Vikram is 'Veera Sivaji', and I'll start shooting for it first. Dhanush's project will take time. There's also a Malayalam film in the pipeline, but I haven't signed it yet," she said, and added that she's "excited as well as "nervous" as she considers herself a newcomer. As a child actor, she had the privilege of working with stars such as Chiranjeevi, Nagarjuna and Mohanlal among others. Does she still wish to work with stars? She's also the sister-in-law of Tamil superstar Ajith. Despite being associated with a star family, Shamlee feels people still recognise her as the little girl from 1990 film "Anjali". "As far as I know, people still refer to me as the 'Anjali' girl. It's funny that nobody has forgotten that even after so many years. They'll also remember me as Shalinia¿s younger sister and Ajith's sister-in-law until I get established. It's just a matter of time and with better work, I'll be able to make my own mark," she said. Taking a cue from her sister's work, Shamlee also says she'd like to pick dignified roles.